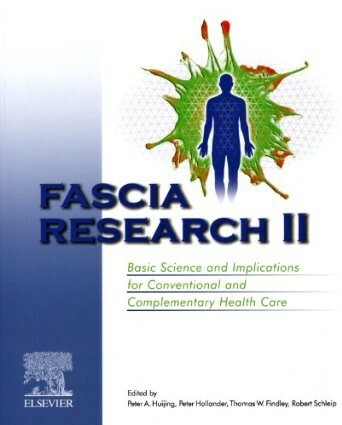 Produktinformationen "Fascia Research II (EN)"
FASCIA RESEARCH II - Basic Science and Implications for Conventional and Complementary Health Care. Editors: P.Huijing, P.Hollander, T.Findley & R.Schleip. Elsevier Urban & Fischer, Munich 2009. (Contains 23 full text papers from the leading scientists in fascia research, plus additionally all abstracts of the 2nd International Fascia Research Congress, Amsterdam 2009. 324 pages). The purpose of this book is to organize relevant information for scientist involved in the research of the body's connective tissue matrix (fascia) as well as professionals involved in the therapeutic manipulation of this body wide structural fabric. It includes background full text papers from a wide range of journals and abstracts presented at the Second International Fascia Research Congress. Weiterführende Links zu "Fascia Research II (EN)"
Kundenbewertungen für "Fascia Research II (EN)"